Deus Record’s inaugurals TV BABY have just announced the release of their newest single Powering, now available at iTunes US, iTunes AU, Juno Download, Amazon Music, and Spotify. Powering is the first offering by New York’s own TV Baby from their forthcoming album scheduled for release later in the year. The song is a rich deceptively layered listen with gloriously raw, metallic guitar chords coupled with an urging melody. Lyrically and musically evocative of the sweet pressures of life under which we all cook; to take or to be taken, the spider or the fly, are you powering up or down? As a bonus, the single is accompanied by penetrating remixes of more fine album cuts as follows – Free Tech (Secret Circuit remix), Wild Joy (Tom Of England Astro dub) and Wild Joy (Tom Of England Astro instrumental). Secret Circuit’s penchant for melodic, euphoric sounds meets Free Tech head on, the LA producer’s trippy, driving remix focuses on fine tuning and blending the more musical elements and vocals, with kaleidoscopic results. Former band mate and Rub n Tug’s very own Tom of England turns the package on its head and drops a mechanical, Balearic meets Punk take on Wild Joy. Turning things off the beaten dance floor trail, the mix is as blissful as it is claustrophobic. 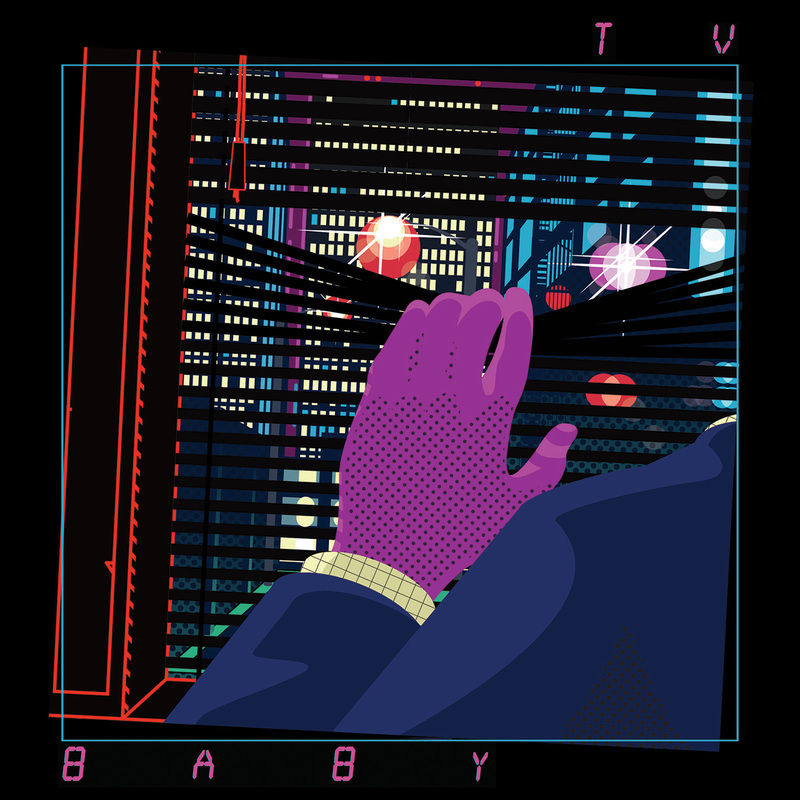 His effort’s twisted, experimental drive rounds off the release and ensures that all of TV Baby’s musical ethos stays faithful to the band’s influences and standing firmly within the label’s ethos. And if you want to know who’s crooning in the Deus Temple of Enthusiasm in Bali, keeping the beat in Camperdown’s custom moto workshop or inspiring the Japanese crew in Harajuku – you can now follow along via the new curated Deus Records Spotify channel. First off the press is Justin Miller – previously of DFA Records, current architect of Deus Records. Search “DXMRECORDS” and give the first playlist a spin below.